Daniele Archibugi è Dirigente del Consiglio Nazionale delle Ricerche (CNR), Roma, affiliato all’Istituto di Ricerche sulla Popolazione e le Politiche Sociali (IRPPS) ed è Professore di Innovation, Governance and Public Policy all’ Università di Londra, Birkbeck College, School of Business, Economics and Informatics. Si occupa di economia e politica del cambiamento tecnologico e di teoria politica delle relazioni internazionali. Si è laureato in Economia presso l’Università di Roma “La Sapienza” con Federico Caffè e ha conseguito il Dottorato di Ricerca presso lo SPRU, Università del Sussex lavorando con Chris Freeman e Keith Pavitt. Ha lavorato e insegnato presso le Università del Sussex, Cambridge, Napoli, Roma, London School of Economics and Political Science e Harvard. Ha anche tenuto corsi in Università asiatiche quali la Ritsumeikan University di Kyoto e la SWEFE University di Chendu. Nel 2006 è stato nominato Professore Onorario dell’Università del Sussex e nel 2016 Membro onorario del Réseaux de Recherche sur l’Innovation francese. E’ consulente dell’Unione Europa, dell’OCSE, del Consiglio d’Europa, di varie agenzie delle Nazioni Unite e di governi nazionali. Ha diretto numerosi progetti di ricerca per la Commissione Europea e per altre organizzazioni internazionali. Ha presieduto il Gruppo di Esperti della Commissione Europea sul tema “A Wide Opening of the European Research Area to the World”. E’ stato membro del Gruppo di Esperti delal Commissione Europea “Global Europe 2030/2050″. Presso l’IRPPS è responsabile della commessa Globalizzazione: Determinanti e impatto economico, tecnologico e politico, presso la pagina sono elencate e sono disponibili le sue principali pubblicazioni recenti. Ha scritto diversi libri e più di 150 articoli in riviste accademiche. Tra i suoi libri, è co-curatore di The Globalising Learning Economy (Oxford University Press, 2001), e curatore di Debating Cosmopolitics (Verso, 2003). The Global Commonwealth of Citizens. Toward Cosmopolitan Democracy, è stato pubblicato dalla Princeton University Press nell’ottobre 2008 e con il titolo Cittadini del mondo. Verso una democrazia cosmopolitca da Il Saggiatore nel gennaio 2009 e tradotto in giapponese e in altre lingue. E’ co-curatore di Global Democracy: Normative and Empirical Perspectives (Cambridge University Press, 2011) e co-autore di Innovation and Economic Crisis. Lessons and Prospects from the Economic Downturn (Routledge, 2011). Tra i suoi ultimi libri vi sono The Handbook of Global Science, Technology, and Innovation, curato con Andrea Filippetti (Wiley, 2015), e Claiming Citizenship Rights in Europe. Emerging Challenges and Political Agents, curato con Ali Emre Benli (Routledge, 2018). 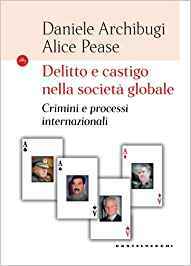 Con Alice Pease ha scritto Delitto e castigo nella società globale. Crimini e processi internazionali (Castelvecchi, 2017 e nella versione inglese, Polity Press, 2018). 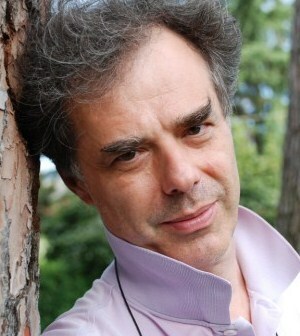 Daniele Archibugi is a Research Director at the Italian National Research Council (CNR) in Rome, affiliated at the Institute on Population and Social Policy (IRPPS), and Professor of Innovation, Governance and Public Policy at the University of London, Birkbeck College, Department of Management. He works on the economics and policy of technological change and on the political theory of international relations. He has graduated in Economics at the University of Rome “La Sapienza” and taken his D.Phil. at the SPRU, University of Sussex. He has worked and taught at the Universities of Sussex, Naples, Cambridge and Rome, London School of of Economics and Political Science and Harvard. He also held courses in the SWEFE University, Chengdu, China, and the Ritsumeikan University, Kyoto, Japan. In June 2006 he was appointed Honorary Professor at the University of Sussex and in 2016 Honorary Member of the French Research Network on Innovation. He is an adviser to the European Union, the OECD, several UN agencies and various national governments. He has led many research projects for the European Commission and other international organizations. He has chaired the European Commission’s Expert Group on “A Wide Opening of the European Research Area to the World” and he has been a member of the Expert Group of the European Commission “Global Europe 2030/2050″. At the IRPPS-CNR he directs the research project titled Globalization: Economic, Technological and Poltical Determinants and Impact, where the most important recent publications are listed and can be downloaded. He is the author of several books and more than 150 articles in refereed journals. Among his books, he has co-edited The Globalising Learning Economy (Oxford University Press, 2001), and has edited Debating Cosmopolitics (Verso, 2003). His book, The Global Commonwealth of Citizens. Toward Cosmopolitan Democracy was published by Princeton University Press in October 2008 and translated in Italian, Japanese and other languages. 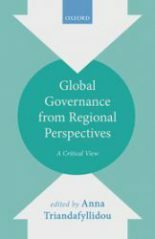 He has co-edited Global Democracy: Normative and Empirical Perspectives (Cambridge University Press, 2011) and co-authored Innovation and Economic Crisis. Lessons and Prospects from the Economic Downturn (Routledge, 2011). Among his latest book co-edited books, The Handbook of Global Science, Technology, and Innovation, with Andrea Filippetti (Wiley, 2015), and Claiming Citizenship Rights in Europe. Emerging Challenges and Political Agents, with Ali Emre Benli (Routledge, 2018). His latest book is Crime and Global Justice, The Dynamics of International Punishment with Alice Pease (Polity, 2018). Archibugi, D., & Filippetti, A. (Eds.). (2015). 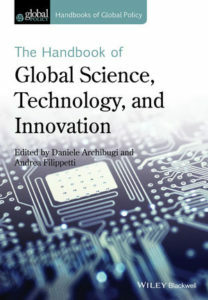 The Handbook of Global Science, Technology, and Innovation. John Wiley & Sons. Archibugi, D., Croce, M., and Salvatore, A.
Archibugi, D., Croce, M., & Salvatore, A. (2014). 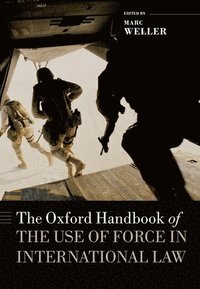 The debate about the prohibition of the use of force and collective security as a structural element of international relations discourse through the centuries.